Our first generation rugged cost-conscious workhorse, the P630 23-gauge headless pinner is also an industry first of its kind. First in our line of industrial strength pinners, the P630 offers an adjust-free magazine encompassing eight different fastener lengths from 3/8" to 1 3/16". 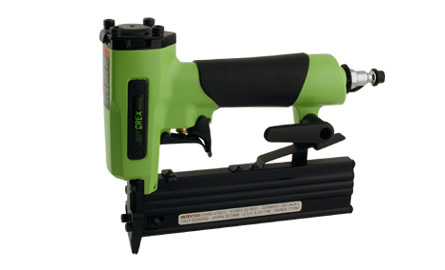 Although compact and lightweight, this little workhorse packs a punch driving pins into hardwood. What's more, the 23-gauge headless pin leaves a nearly invisible hole.